1. 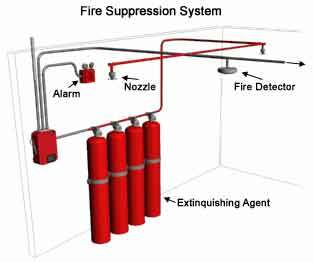 Make a general visual inspection of the Fire Suppression cylinder and equipment for damaged or missing parts. 2. 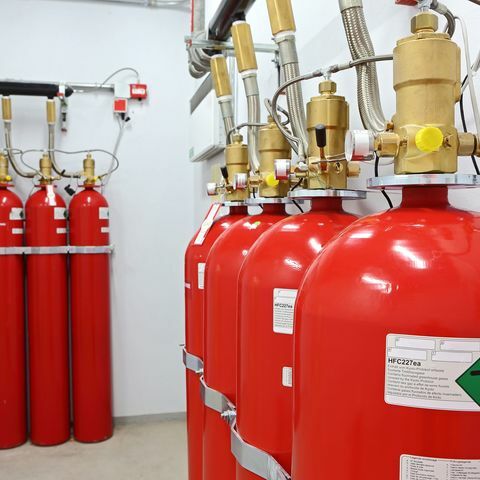 Ensure access to hazard areas, discharge nozzles, and cylinders are unobstructed and that there are not obstructions to the operation of the equipment or distribution of Fire Suppression System. 3. Inspect detection tubing in hazard area for abrasion, distortion, cuts, or dirt accumulation, and that there are no obstructions preventing tubing from sensing a fire should one occur. 4. Inspect Fire Suppression system cylinder pressure gauge. If pressure gauge is not normal (150 psig at 70oF) contact Fire Projects service company to inspect and Refill or replace if necessary. 5. Verify that there have been no changes in the size of the enclosure and that no new ventilation has been added. 1. 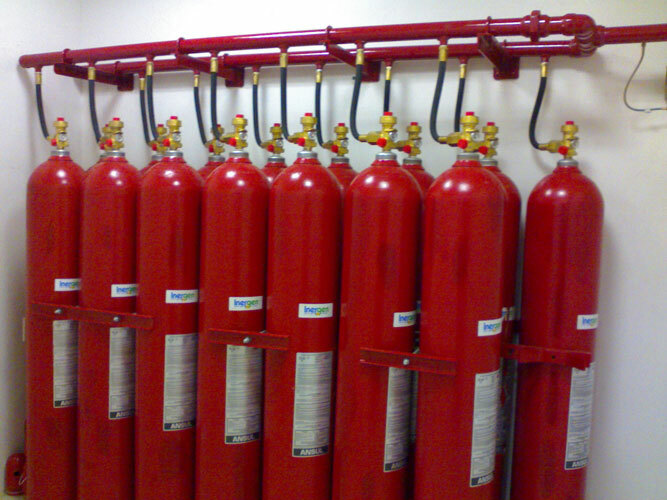 Check Fire Suppression cylinder for weight and pressure. • Close ball valve, by turning ball valve lever clockwise to the “OFF” position. • Disconnect detector tubing at the ball valve. Note: There will be a loss of nitrogen pressure out of the tubing. • Disconnect copper tubing and fittings from the cylinder valve discharge ports(s). • Immediately install safety plugs(s) into the valve discharge port(s). 3. Weight cylinder. Compare measured weight with weight found on the cylinder nameplate. If the container shows a loss in agent quantity of more than 5 percent, or a loss in pressure (adjusted for temperature) of more than 10 percent, the cylinder shall be refilled or replaced. 4. Remove nozzle(s) and inspect for obstructions. Reinstall nozzles. 5. Reinstall cylinder and re-pressurize detector tubing with nitrogen.